Eckington House is a new home for a close knit family on an amazing site on the edge of Sheffield’s green belt. The house is conceived as a collection of buildings, evolved over time and derived from the surrounding farmstead typologies. The front of the house is bound behind a beautiful stone wall that envelopes a ‘cottage’ element to the south. 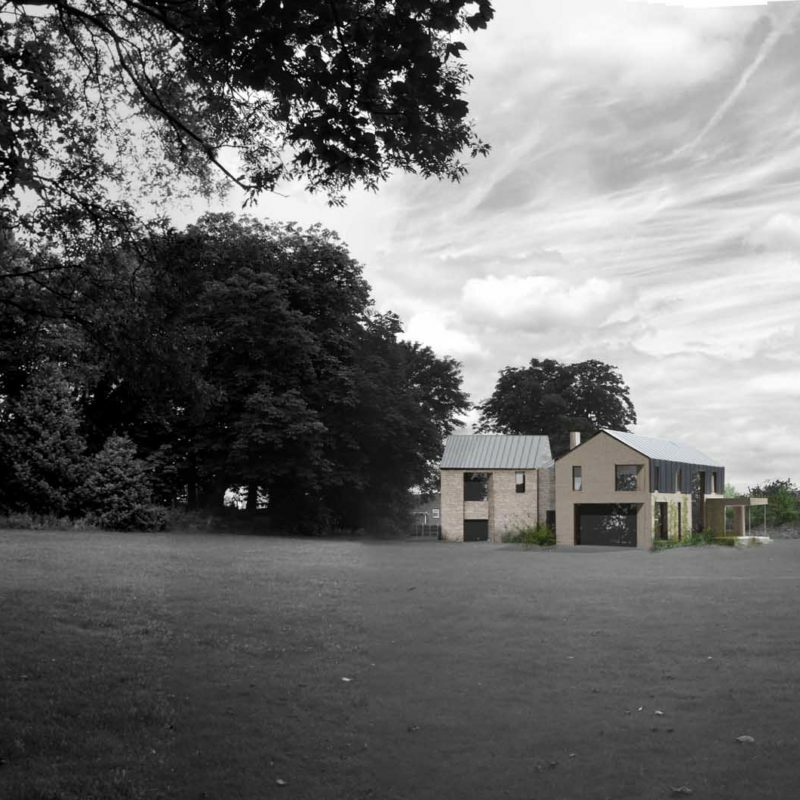 A modern barn emerges from behind the wall. The building becomes more transparent and fluid as it moves from street to garden. Material quality plays an important part in the identity of the home. Warm stone gives way to a timber lined entrance lobby. Brick and zinc cladding provide a crispness of detailing to the main house. Large areas of glazing frames views over the manicured lawns beyond.